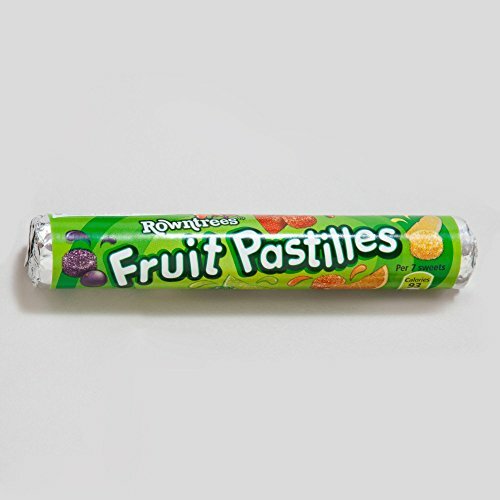 Rowntree's Fruit Pastilles are circular sweets. They appear in different colours, each with a different flavour, and are coated in sugar. Fruit pastilles contain no added flavourings or colourings. They are made in Fawdon, Tyneside. They were first made in 1881 and are Rowntree's oldest product. Around 100 million tubes are consumed each year. Flavours include strawberry, blackcurrant, orange, lemon (may be replaced by pineapple), and lime. If you have any questions about this product by Rowntrees, contact us by completing and submitting the form below. If you are looking for a specif part number, please include it with your message.